Within 2 miles of the Eden Project, Bay View Cottage is an ideal base from which to explore all that Cornwall has to offer! 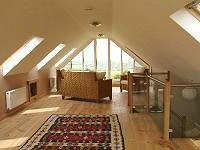 This beautiful self-catering cottage sleeps up to 6 people and is fully-equipped for a relaxing holiday. Bay View Cottage offers panoramic views from Gribbin Head to Black Head and is perfect for either family breaks or as a quiet romantic retreat. 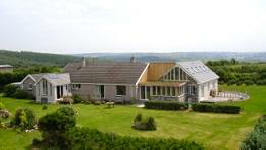 There is plenty to occupy children- a games room with table-tennis and pool table and also 3 acres of land to explore. 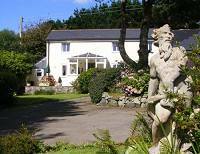 South Tregleath Farm is situated with stunning views over the picturesque Camel Valley looking out towards Padstow. Situated centrally in Cornwall between the North Coast with it's stunning beaches and The Eden Project to the south - the farmhouse offers well appointed luxury accommodation with a slant towards contemporary Mediterranean living where you can feel you are on holiday in a very special place. 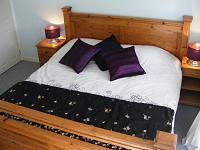 Our accommodation sleeps 6 comfortably in our three rooms all with en suite facilities. Anne cooks a full English breakfast, on the Rayburn, at a time to suit you, with home-made bread, marmalade, cream, honey and other produce from our farm.